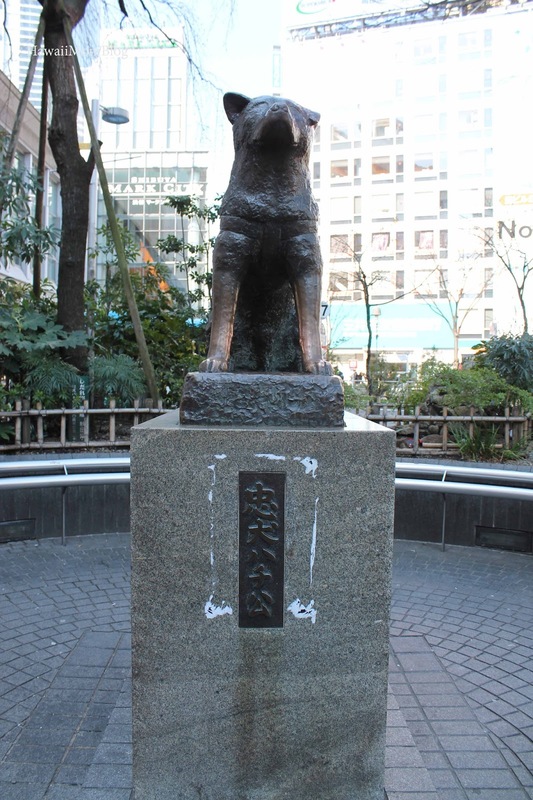 The Hachiko Statue in Hachiko Square just outside of the Shibuya station is a popular meeting place, as well as a popular photo op location for visitors and tourists alike. Hundreds of people gather daily to take photos of and with the statue of Hachiko, who in real life was a faithful companion to Professor Ueno Hidesaburo. He'd meet the Professor daily after work, but when the Professor unexpectedly died and did not return, Hachiko kept returning daily for the next nine years, waiting for his master. It's a typically busy spot, but you won't have to wait long to get a photo of or with Hachiko.